While we focus on bringing convenience to our fans, bridging readers to books, we are on the constant lookout to expand and grow. Now in case you are not aware, yes we are doing FREE book swaps in Singapore. 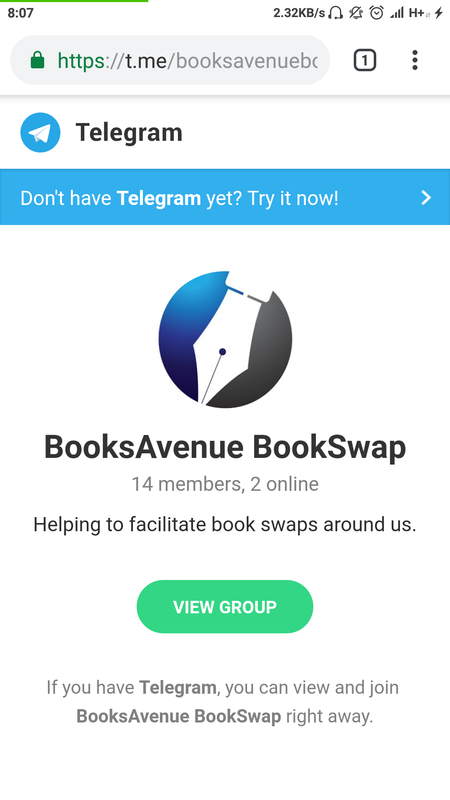 All the swaps in our BooksAvenue telegram group are on voluntarily basis at ZERO costs. So be smart and avoid those scam requests using our name to collect a fee. If you are looking to read free ebooks, be sure to check our our page on 3 Steps To Read Amazon books for FREE. Kindle has unlimited membership plans that you can read unlimited books for FREE. Now if you are in Singapore or some parts of the world that has no access to Kindle store, read our guide here to buy/sign up for FREE Amazon books. The basic key is to have a VPN which you can sign up for 1 month for only $7. It’s even cheaper than Netflix! Oh that said, yes you can use VPN for netflix too. Anyways this new FREEBIE section will include all the stuffs needed for easy reference of all the free stuffs on the internet. Promo codes, freebies, discount or even Free membership plans. So stay tuned and thank you for your support!